Raize Flash Video Converter, from RaizeMedia, is a simple-to-use and powerful FLV to video and video to FLV conversion application which is designed to quickly convert popular video files to Flash FLV and SWF streaming Macromedia Flash video format at ultra-fast conversion speed. Raize Flash Video Converter normally costs $29.95 for purchase. As part of Raize giveaway offer, the interested users are now entitled to download the full version of Raize Flash Video Converter 3 for free of charge. This time-limited Raize promotion will be expired on April 20, 2011. 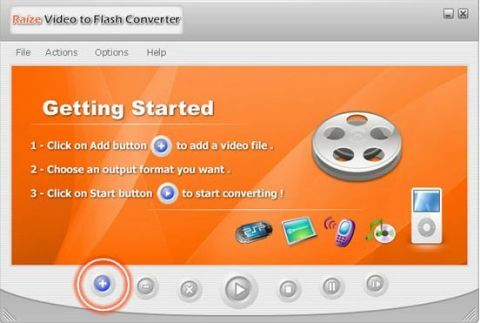 To grab a free copy of Raize Flash Video Converter, download the setup installer of Raize Flash Video Converter 3.10: RaizeVideotoFlashConverter-giveaway.exe. Then input the following license serial code to unlock the Flash Video Converter.